Composted horse manure has varying degrees of “finished”. It really depends on the kind of end product you are after. If you are only concerned about killing parasites and weed seeds, once your compost temperatures have been maintained at optimum temperatures, approximately 50 – 60°C, for three weeks, you can spread your composted material. Note that this composted material will likely look much like what you originally put into your pile. Parcels of manure will still be visible and hay will be mixed in it. You can run this material through a screen or turn it heavily to break it up. If temperatures have been high enough, it should break up relatively easily. There really isn’t anything wrong with spreading this material on your pasture, it is really a matter of aesthetics. You do need to make sure that large clumps are broken up so that you do not smother the grass. Harrowing after spreading this material is highly recommended. 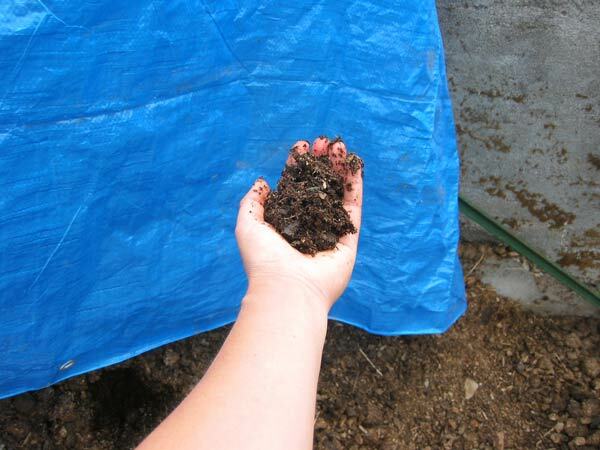 Composted horse manure that is completely finished will look like crumbly garden soil, the temperature of the pile will not change when you turn it, and temperature will be ambient or slightly above air temperature. If you are managing your composting system passively, that is you were not turning it, or turning it rarely, finished material may still exhibit some of the qualities of the raw materials you put in. Again, parcels of manure may be visible and some hay will still be visible, but likely if your manure if fully composted the original materials should be indistinguishable from each other. Screening, grinding or turning will help break up this material as will harrowing after spreading. This material will break up easily. 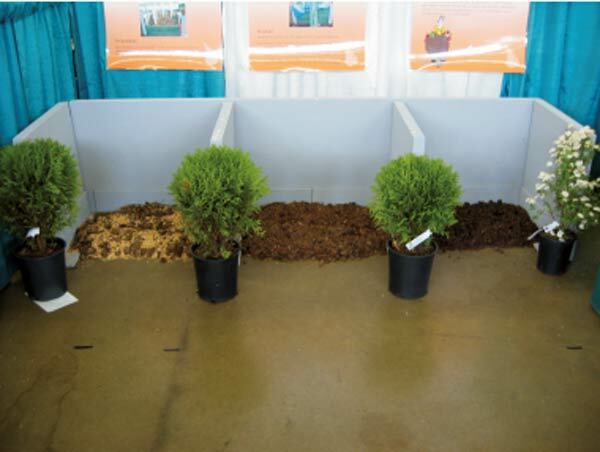 This model of a three bay composting system shows the progression of decomposition. The raw materials, far left, are identifiable in the pile. The material that is finished, far right, is much darker and smaller in particle size than the middle bin that is only halfway to being finished. Final moisture content of your compost should be approximately 50% so you will likely either need to let your compost dry out a bit or add water prior to using it. Unsure about the temperature or moisture content of your compost? Visit our “Troubleshooting” page. You can use your composted horse manure as a soil conditioner on your pasture and hay fields. Mulching with a thin layer of composted horse manure, particularly during early spring provides your pasture with a “bank” of nutrients ready to be used by your growing grasses when they need them. Unlike many chemical fertilizers that only have nutrients available to plants for a few days, horse manure compost holds a reserve of nutrients in the soil that are released on an on-demand basis. You can use your composted horse manure in your garden beds, fill your flower pots with it (recommend adding sand as well), mulch your garden with it, mulch around trees and shrubs with it, and mulch your lawn with it. You can save money on purchasing topsoil for these purposes just by using what your animals make in your own backyard! 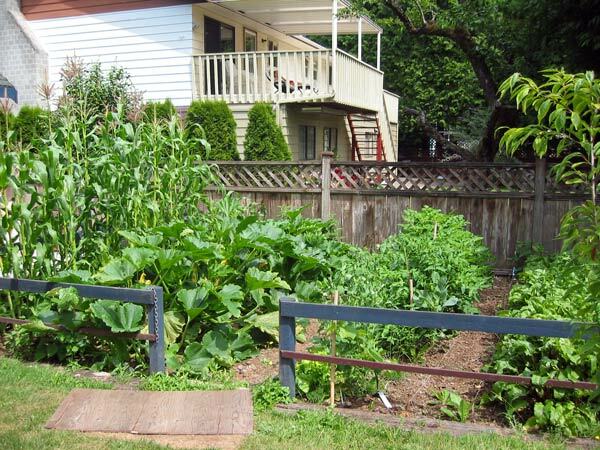 This photo shows a thriving garden space that was supplemented using composted horse manure! If you have more than you can use, share your compost wealth with members of your community! Your urban neighbours would love a source of free organic soil enhancer, particularly landscapers and even small-scale farmers. Talk to your neighbours or sign up for the LEPS Manure Link program.